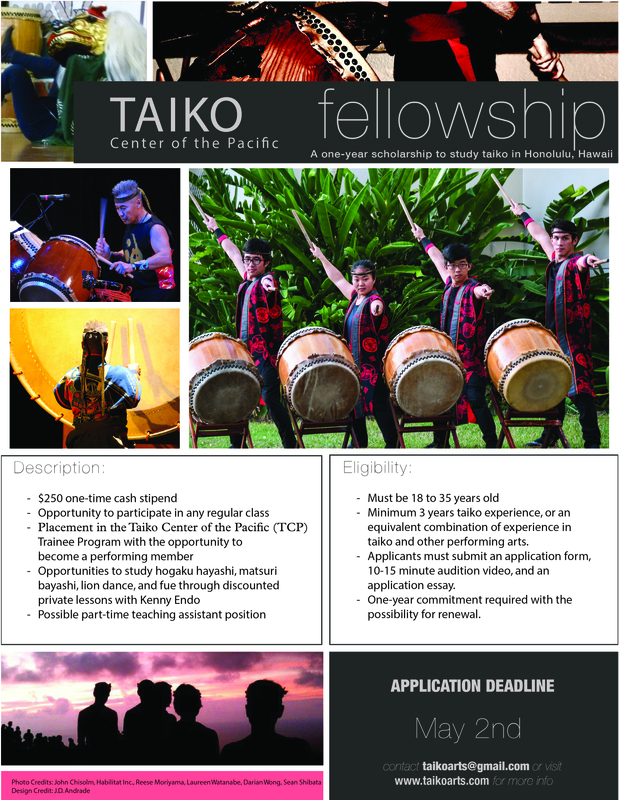 TAIKO are traditional Japanese drums that make one helluva noise, give you a great workout and provide heaps of fun. Originally played as part of religious ceremonies and festivals, in the past few decades, they’ve also become performance instruments, with taiko troupes popping up all over the world. So grab your earplugs and get ready for the multitude of benefits. You may think banging a drum for a 90-minute class would be a workout for your arms, but playing the taiko takes a lot more than strong biceps. You’ll also use your shoulders, core, legs, glutes and especially your back muscles. And because playing the taiko is as much about the beauty of the movement as it is about the sound you make, you need to develop strength, endurance and flexibility to play well. Research has shown that playing a musical instrument (or even just listening to music) can stimulate your brain, increase your memory and even improve your IQ. In fact studies have found that the parts of the brain that control motor skills, hearing and memory are more active in musicians than non-musicians. Say no more. In our society, hitting things is usually pretty frowned upon, especially for girls. We’re glad about that – no-one likes a punchy person. But we have to admit summoning all your strength to whack something hard can feel pretty good. In taiko practice, hitting drums with all your might isn’t just allowed, it’s compulsory. Recent studies have shown that playing music can help boost the immune system by encouraging the body to produce chemicals that help your cells attack germs and bacteria invading the body. 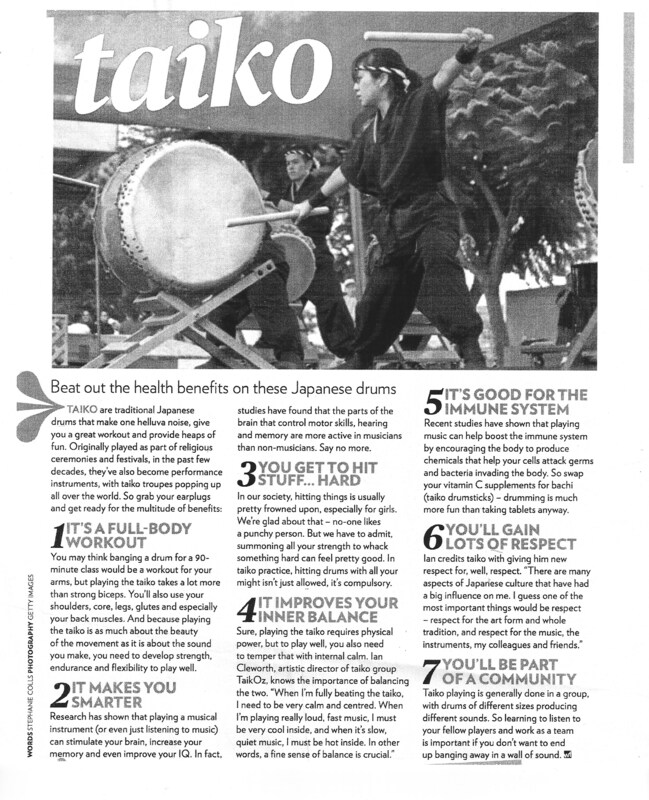 So swap your vitamin C supplements for bachi (taiko drumsticks) – drumming is much more fun than taking tablets anyway. Taiko playing is generally done in a group, with drums of different sizes producing different sounds. So leaning to listen to your fellow players and work as a team is important if you don’t want to end up banging away in a wall of sound.